World Refugee Day, the day intends to raise public awareness about refugee’s situations all over the world. World Refugee Day serves to remember the strength, courage and spirit of millions of refugees who have been forced to flee their homes out of fear of harassment, violence or to escape disasters. World refugee day commemoration provides us an occasion to help the refugees across the world to restructure their quality lives through lots of related activities. 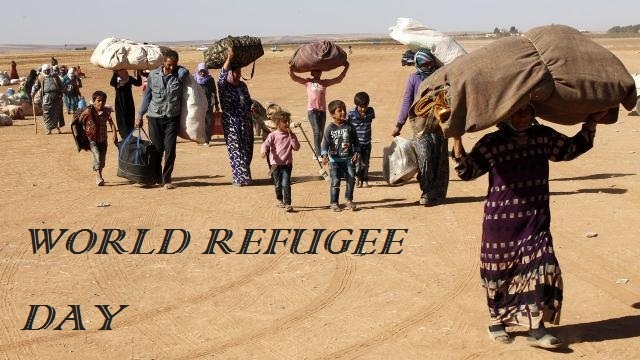 World Refugee Day was first proposed by The United Nations General Assembly in December 2000 which is celebrated every June 20th; the day chosen coincide with Africa's previously celebrated Refugee Day. It is celebrated on different dates and weeks in many countries. The World Refugee Day celebration of 2001 has marked as the 50th anniversary of 1951 Convention Refugees. Donate or volunteer for the UN Refugee Agency. Organize Discussions and debates in the schools and colleges.